Small businesses in NSW may be eligible for a stamp duty exemption. Please contact us before completing this form if this applies to you. If you fail to comply with your duty of disclosure, the insurer may be entitled to reduce liability under the contract for a claim or may cancel the contract. If your non-disclosure is fraudulent, the insurer may also have the option of voiding the contract from its beginning. Please also refer to our Financial Services Guide (FSG), available here. Click here to learn about our Tour Guides & Tour Managers General Liability Policy Coverage. Cover will only be granted from the date of completion and binding, with no cover being backdated. This insurance policy has a common due date of 1st November each year. You are not eligible for the NSW Stamp Duty Exemption. For any queries, please contact our office. As you have answered Yes to this question, immediate cover is not available, as this needs to be referred to the Underwriters prior to cover attaching - please contact our office prior to completing this form. I have read and understood the terms & conditions of this agreement and website. I/We, declare that the above statements are true, that I/We have not suppressed or misstated any facts, and that, should any information given by me/us alter between the date of this proposal and the inception date of the insurance to which this proposal relates, I/We will give immediate notice to JMD Ross. I/We have read and understand the Notice to Insured on the top of this proposal form. Before deciding to proceed with this insurance please read the Policy Wording and Endorsements & Conditions to ensure the cover meets your needs. If you have any queries please contact our office. Please note, should the policy be cancelled mid-term, there is no return premium applicable. When you click the 'Pay Now' button the form details and your financial details will be passed through to Westpac's Payment Gateway known as Payway. Payway is a secure server using the latest 128-bit SSL (secure sockets layer) encryption technology. 128-bit SSL encryption is the current industry internet security standard. Payway is a simple, secure, internet-based solution to collect and manage online payments.  It supports direct debit, credit card, BPAY and Australia Post payments, enabling JMD Ross Insurance Broker clients to pay for services online.